Are you looking for an estate agent you can rely and trust own Bury? Lifestyle Sales and Lettings is an independent Estate Agent perfectly situated between the much sought after areas of Ramsbottom and Edenfield. We are just minutes from the motorway which makes properties anywhere within Lancashire and Greater Manchester easily accessible for viewings and valuations. We are a local High Street Agent, though the warm friendly office is based just out of the village itself, but has presence on the busiest road into Ramsbottom. We like to support our local community and intend on keeping the Estate Agency as a Traditional High Street Agent. This enables our customers to be given a happy face-to face-service that they recognise from the moment they have first contact, until the keys are handed over. We pride ourselves on a great personal, professional service that has lead us into having many long-lasting relationships over the years. 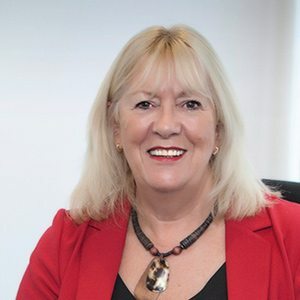 Our business has been based mainly on referrals, and word of mouth also with such a fantastic dynamic team, we are certain you won’t be disappointed. 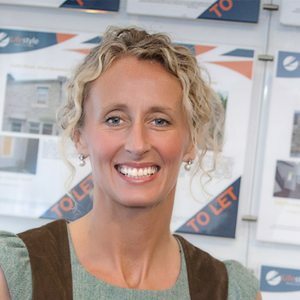 I am the director of Lifestyle Sales And Lettings and have been in property for 10 years. Before that, I travelled extensively and was a Personal Trainer for several years. 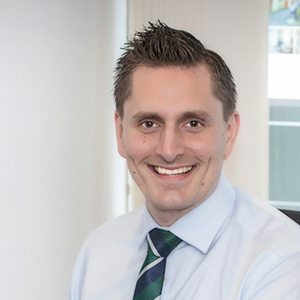 I started the business myself with only a few properties 10 years ago as a lettings agency, and as my family of 3 boys had grown a little, I felt it was time to expand into sales too. I pride myself on having such an amazing team of people working with me, who are committed and incredibly loyal, I feel so fortunate to have them. Out of work time, I like to spend time in France and love competing in Trail running, Triathlons, Ski Touring and Telemark Skiing. My goals this year is to expand the business and to compete in a Half Ironman in France. Originally from Northern Ireland, I came to England to experience the university life and the pace of the big cities. I’ve been in property now for several years and find it extremely rewarding to find people their dream homes. When I’m not in the office you’ll find me working on my family home or enjoying the countryside and its fine dining. I have now worked for Lifestyle for ten years after having previously worked in accounting and finance. My job role here is accounts and any financial dealings as well as handling the inspections of our managed portfolio. I have watched Lifestyle thrive and grow from the beginning so the sales market is a very exciting prospect. Away from work, I enjoy family time, socialising with friends and the odd party here and there! My goal for this year is to assist the team as we continue to expand. 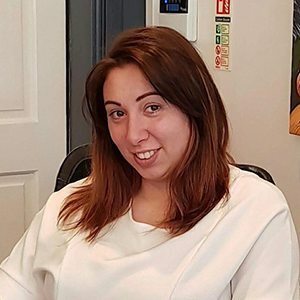 My job here at Lifestyle entails dealing with all maintenance issues and getting the right person, at the right price who will do a good job. This job was a new challenge for me and a bit of a change as I have been a senior carer for so many years. When I am not at work I enjoy passing my time with my fiancé organising our wedding for next year, socialising with my friends, spending time with my family. My main hobbies are horse racing, shopping and dining out. 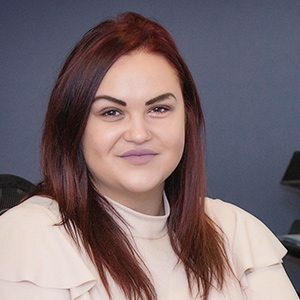 Fuelled by a passion for research and design, Rosanna will provide enthusiasm through her projects, with the ability to deliver results based on each client need and budget. This business goes above & beyond in order to get the best for the customer. Niall (Manager) is adaptable, professional & is very knowledgeable of the surrounding areas. I would have no hesitation in recommending them for Sales & Lettings.